Stitch has apps for both iOS and Android, which are the best way to stay in touch with the Stitch Community when you are on the go. 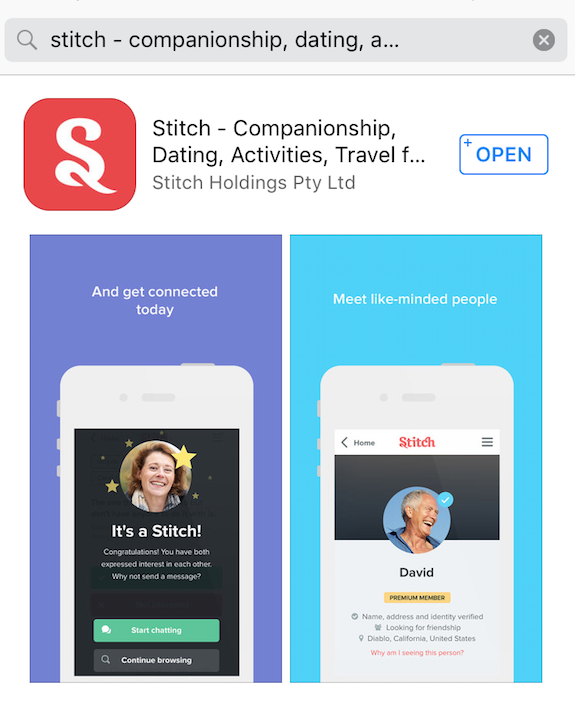 Alternatively, if you search on your phone in the Apple App Store for 'Stitch companionship' you will be able to find and install the app. NOTE: Because of Apple's requirements, the iOS app does not support the ability to choose a membership plan. This must be done in a web browser, either on your phone, tablet, or a desktop computer. Apart from that, the Stitch app provides access to all of the same features available on the desktop site.